With crude oil reserves projected to reach their peak within the next decade and global warming emerging as an international dilemma, scientists are looking for solutions to both crises. Candy Gibson reports. By 2010, it is estimated the world will consume 98 million barrels of crude oil per day. That's a big thirst, by anyone's standards. And fuelled by demand from two of the largest growing economies, China and India, there is no sign of this appetite waning. This poses problems on several fronts. Shortages result in escalating prices at the bowser. Total reliance on crude oil is risky, fostering an unhealthy dependence on one commodity. Dangerous levels of carbon dioxide being released into the earth's atmosphere every day are driving up global temperatures, creating environmental chaos. And that's not to mention the health problems directly attributed to fossil fuel burning. The answer? According to environmental scientist Robert Thomas, from the South Australian Research Development Institute (SARDI), alternative energy sources must be found. Biofuels provide part of this solution and SARDI, in conjunction with Australian Renewable Fuels (ARF), is leading the initiative in this area. Last July, Federal Environment Minister Ian Campbell announced the formation of the Australian Biofuels Institute (ABI) to develop technologies and knowledge for a new world-leading industry. According to Mr Thomas, who is a major contributor to the concept proposal, South Australia is the front-runner to head the Institute and the University of Adelaide one of the key stakeholders. "By having the peak body located here, it will earn South Australia a reputation as the key innovation State in biofuels. It will also ensure earlier enterprise development and earlier adoption of best practice in agronomy and new plant varieties. These provide distinct market leadership advantages for South Australia," Mr Thomas said. There are two main types of biofuels--biodiesel and bioethanol--which can be used for transportation. They are essentially alcohols and esters made from renewable resources --that is, vegetable oils and plant starches. The ABI's initial focus will be on developing new feedstock sources for biodiesel manufacturers in Australia without compromising existing food production. "Our vision is to substitute 10% of Australia's mineral diesel with biodiesel. To do that, 5% could come from crops and 5% from micro-algae. The primary feedstocks currently used are animal fats. However, this is a limited resource and will only meet 2%-3% of Australia's diesel requirements." Canola is the preferred crop in Europe and soy in the US, but local researchers are leaning towards mustard for biodiesel production because it provides multiple benefits for farmers. "We would prefer not to compete with existing food crop varieties because that could drive prices up and that's not healthy for either industry," Mr Thomas said. "Mustard, on the other hand, has the potential to be an excellent break crop for wheat in low rainfall regions. 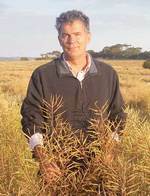 It is more drought tolerant than canola but we need to breed for higher yielding varieties." Depressed commodity prices are forcing Australian farmers to diversify and the emerging biofuels market presents significant opportunities. SARDI's own analysis suggests that South Australia has the potential to produce 150,000 tonnes of mustard in an average year from low rainfall cropping land. "If we aim for 10% of SA's current diesel being substituted, that equates to a turnover of around $135 million per annum in biodiesel production. That would require say two crushing plants and two production plants employing about 100 people. It translates to quite a significant new business which can't be ignored." The environmental benefits are also impressive. Compared to mineral diesel, biodiesel produces around 70% less greenhouse gas emissions. Again, using the 10% target, South Australia could achieve an annual CO2 greenhouse gas reduction of 360,000 tonnes. These reductions translate to a healthier outcome for all. Fine particle emissions from petroleum-derived diesel are a serious pollutant in urban environments, causing respiratory illnesses and related health problems. Scientists claim that biodiesel reduces these emissions by up to 30%. The benefits aside, Mr Thomas warns consumers of placing all their faith in biofuels as a way of reducing petrol prices. "That will never happen, but it's imperative that we lessen our total reliance on crude oil. Australia imports most of its crude oil needs, making our fuel supplies very vulnerable. "Biofuels improve a country's fuel security position and strengthen its economy at the same time. Brazil, for example, sources 20%-40% of its fuel from bioethanol. They have been growing their biofuel economy for 20 years and also developed new regional enterprises. It just seems the smart way to go." To be successful, the ABI will need input from research providers and industry. This is where the University of Adelaide comes in. Collaborative links have already been developed between the two institutions, with some exciting developments already coming to fruition. Final year students from the School of Mechanical Engineering designed and built a biodiesel motorbike in 2006, sponsored by diesel engine giant Yanmar, biofuels retail company Australian Farmers Fuel (SAFF) and the State Government. The students initially developed a prototype, using a Yanmar L100AE and a Husaberg frame, which was substantially modified with the help of advanced engineering software. Their supervisor, Dr Colin Kestell, said the students hoped to enter their Bio-bike in the Greenfleet (alternative fuel) class of the World Solar Car Challenge in 2007. 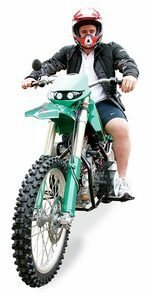 "The Bio-bike demonstrates that biodiesel can be used in smaller engines as a cheaper and more environmentally friendly alternative to petroleum," Dr Kestell said. "It produces less soot than regular diesel and while it still emits carbon dioxide after combustion, it is absorbed and converted into oxygen through photosynthesis during the lifecycle of the fuel." Robert Thomas is the Chief Scientist of SARDI Sustainable Systems. He has a Bachelor of Science in Geology and a Bachelor of Science (Honours) in Zoology from the University of Adelaide, and a Master of Philosophy in Applied Biology from Brunel University (London). Prior to working for SARDI, Robert was Chief Executive for the Department for Water Resources and Executive Director for the Environment Protection Agency. Robert Thomas: biofuel "The smart way to go"